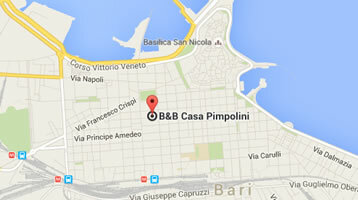 A GENUINE B&B IN BARI ! Casa Pimpolini B&B is located in a central area in Bari on the fourth floor of a modern building equipped with two lifts. Comfortable rooms tastefully decorated will create a pleasant space for you to relax and feel like you are in “ a home away from home”. 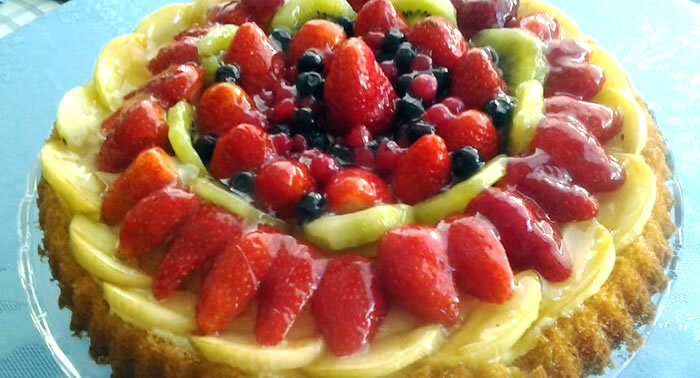 In the morning a rich and inviting breakfast is served in the veranda: tea, coffee, cappuccino, cakes and tarts, jams and much more or, upon request, a savoury or vegan breakfast. 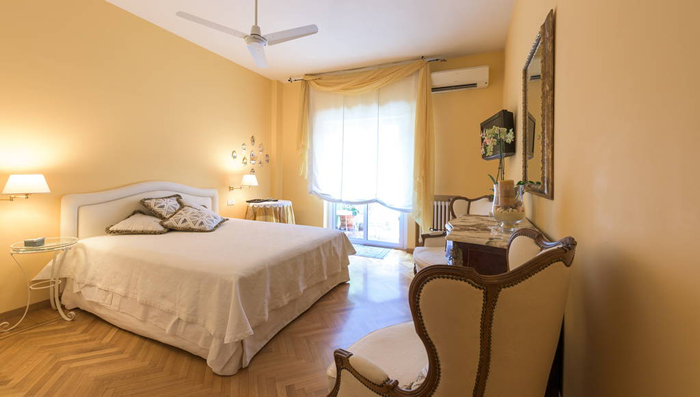 Casa Pimpolini B&B is a perfect place for either a business or a pleasure stay: it is situated in a central area, a few minutes walk to the medieval “old Bari” and to the 19th century district with the renowned Teatro Petruzzelli. The railway station is at a 20 minutes walk. Book your stay: a friendly welcome awaits you with the comfort and warmth of a real home at its best. An abundant inviting breakfast to start your day at the very best. A savoury breakfast is also available upon request. Few minutes away from the railway station and the bus station, the B&B is strategically located for visits to the city and as a starting point to most places of interest. 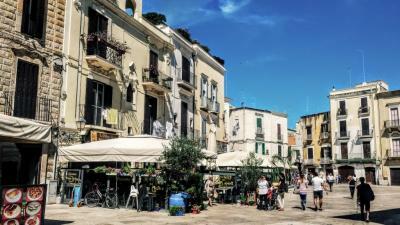 Only few minutes walk from the B&B is the historic centre of Bari. Bari has a historic centre that has been recently restored and brought back to its original splendour. You can meander through its narrow medieval alleys scented with Sunday “ragù” (meat tomato sauce), its courtyards paved with shining spotless“chianche” (stone slabs), the magnificent churches, and its arts and crafts shops with the traditional pottery. In the evening the stream of day tourists and visitors gives way to the night life, with its ample choice of pubs, typical restaurants, “cool” or ethnic bars: all this and much more at only a 10 minutes walk from the B&B, along the majestic Corso Vittorio Emanuele.